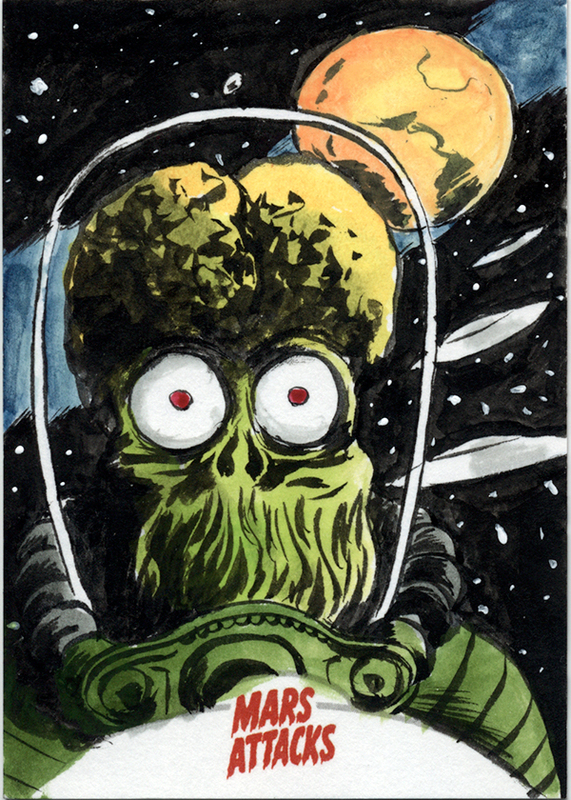 (Another) Mars Attacks Sketch Card on eBay..., a photo by Manly Art on Flickr. *Artist return cards are cards chosen by the artist to be returned to him/her after the set is released. The number of cards returned is determined by the number of sketch cards the artist did for the set. 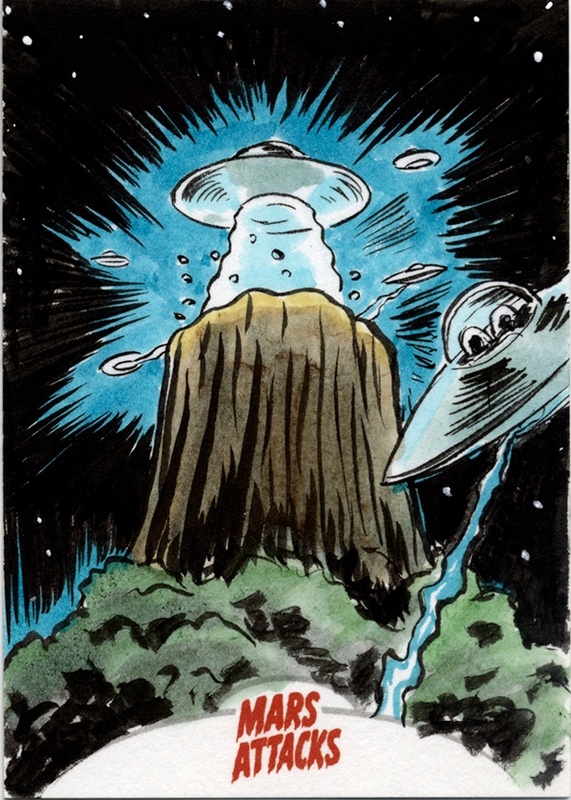 Mars Attacks Sketch Card on eBay..., a photo by Manly Art on Flickr. Hey folks, I've listed one of my artist return* sketch cards on eBay. Check it out of you like that sort of thing! 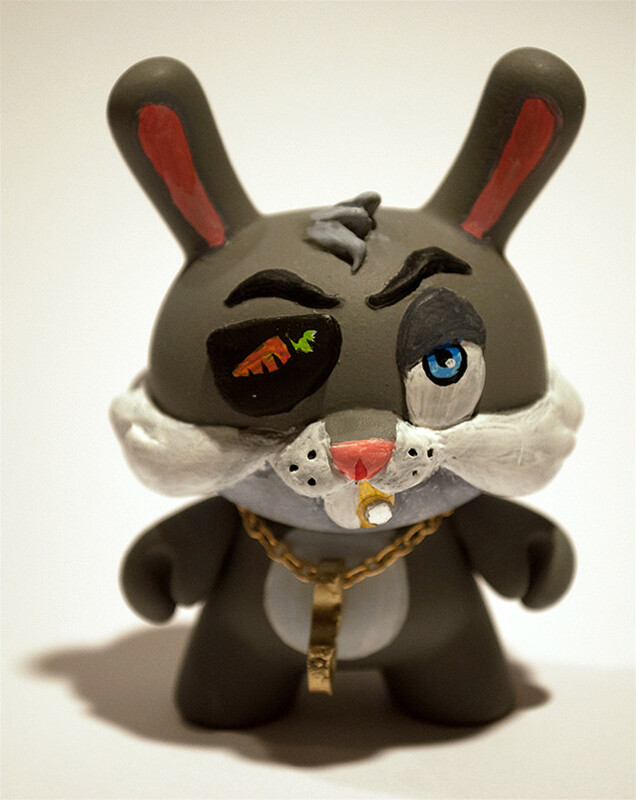 Thugs Bunny, a photo by Manly Art on Flickr. This is my custom for the Urban Vinyl Daily Series 2 blind box release. 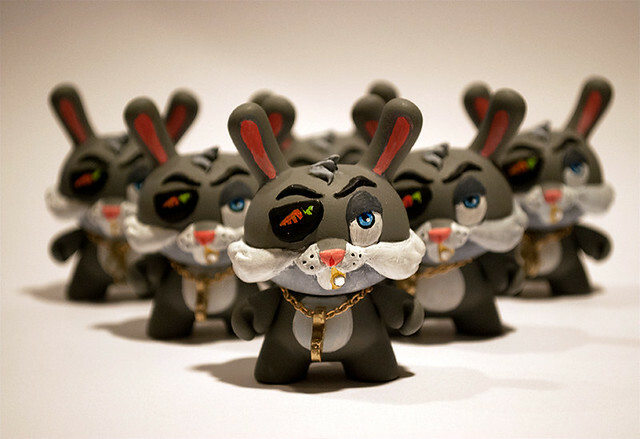 You have a 1:15 chance of pulling one of these street-wise Dunny's. Alright kiddies! 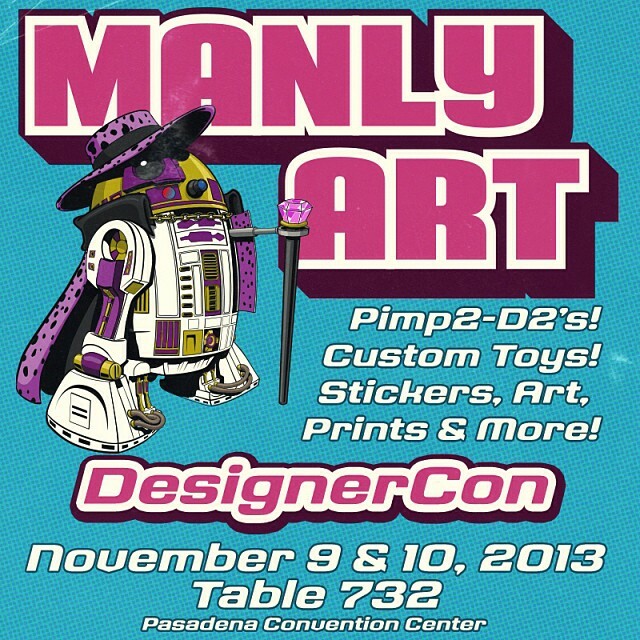 Designer Con is this weekend in Pasadena, Ca. Come by, say "Hi" and pick up some cool stuff! Since I sold Pimp2-D2's this weekend a couple have popped up on eBay at ridiculous prices and misleading info. If you want a Pimp2-D2, I will have 25 more at D-Con next weekend and will be doing an internet release later in the month. PLEASE don't pay $300+ for a this toy. You'll have a good shot at getting one for $50 if you're patient. That is all.